Top Animation News: Stephen Hillenburg, Woody Woodpecker and more! Top Animation News is a weekly column that rounds up the biggest, best and breaking stories from the world of animation. This edition covers November 23 to 30, 2018. 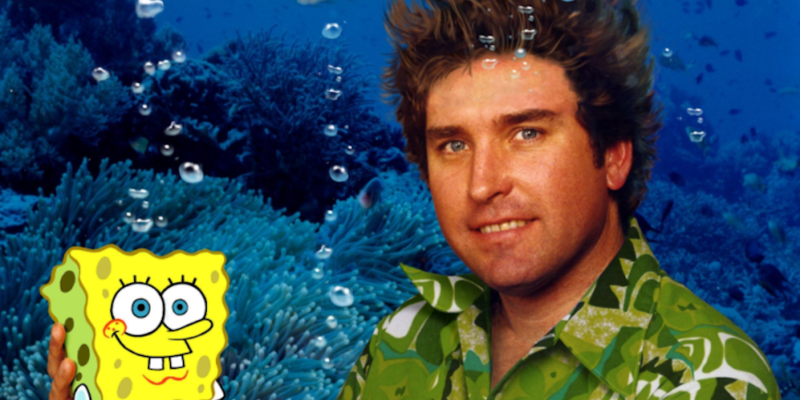 The animation industry was in mourning this week after the passing of SpongeBob SquarePants creator Stephen Hillenburg. He was 57. The cause of death was ALS; Hillenburg revealed he had been diagnosed with the disease in March 2017. He began his career in 1984 as a marine biology teacher, combining his love of sea creatures and illustration to create Bikini Bottom’s denizens as educational tools. Hillenburg later transitioned into animation, getting a job at Nickelodeon where, in 1999, he launched SpongeBob SquarePants. Take a deeper dive into Stephen Hillenburg’s life and career on “Variety”. The African Animation Network (AAN) and Discop Markets launched Discomics Iqembu this week, with a mission of creating a sustainable African animation industry through education. The initiative is a partnership between Toonz Media Group (India’s largest studio), New York City’s Baboon Animation and Toon Boom Animation. They are collaborating on animation production curricula and will funnel young African talent through a three-pronged strategy involving training, service work and the development of a new Toon Boom Centre of Excellence. Learn more about Discomics Iqembu on “African Animation Network”. Universal has revived Walter Lantz’s iconic avian animation, Woody Woodpecker. The cackling character is getting a reboot on three dedicated YouTube channels —English, Spanish and Brazilian Portuguese— this December, with preproduction and storyboarding done in Toon Boom Storyboard Pro. The Woody Woodpecker revival comes 46 years after the original hit the air, 16 years following the three modern seasons of the show and a year after the online channels launched. Catch up on all the Woody Woodpecker details on “Animation Magazine”. Charlie and the Chocolate Factory, Esio Trot, Matilda, The Twits and The BFG are among the Roald Dahl classics set for animated adaptations on Netflix. The streaming giant will begin production on the first cartoon series in 2019, though no schedule has been set. Netflix has been investing millions into animation recently, having confirmed that 60 percent of its global audiences (around 83 million households) consume children’s and family content. Read up on the Netflix Roald Dahl animated adaptations on “The Guardian”. Earlier this year, Domee Shi’s Bao thrust the talented animator into the spotlight — both for its Chinese-Canadian characters and themes, and the fact that she was the first woman to head a Pixar short. Now, she is set to launch her debut 90-minute feature film at the studio. While the plot is still in development, Shi has the backing and mentorship of in-house industry giants like Pete Docter and Brad Bird. Find an insightful interview with Bao creator Domee Shi on “Deadline”. The Los Angeles Animation Festival (LAAF) launches this weekend, running today through Sunday. The event includes 40 indie shorts in competition, panels and talks, with its opening night party featuring a concert by Tom Kenny, the voice behind SpongeBob Squarepants, and his band, The Hi Seas. Other highlights include a tribute to Titmouse Animation co-founder Chris Prynoski and programs of archival rarities; Toon Boom Animation is an official LAAF 2018 sponsor. Have a sneak peek of what else is happening at LAAF 2018 on “Cartoon Brew”. Animation is being positioned and promoted as an internationally focused career path for Caribbean youth. With government support, festivals like Animae Caribe and Toon Boom Animation, this is becoming a reality. “Recent collaborations with international animation production giant Toon Boom have assisted with the promotion of TT, and by extension the Caribbean, as an animation destination,” says Paula Gopee-Scoon, Trade and Industry Minister for Trinidad and Tobago. 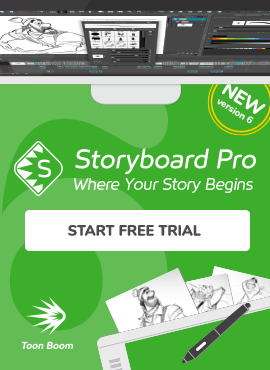 See how Animae Caribe and Toon Boom are developing Caribbean animation on “T&T Newsday”. Animation is meeting audiences’ demands for diversity with increasingly inclusive content. Case in point: Mira, Royal Detective. 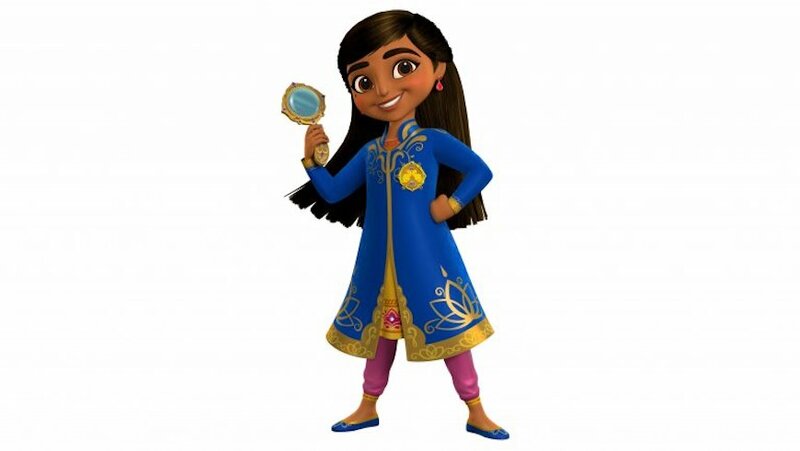 The Disney Junior mystery-adventure series is inspired by the culture and customs of India; set in the magical land of Jaipur, the toon follows the eponymous character as she investigates cases for the monarchy and commoners alike. Mira, Royal Detective features an all-star cast including Freida Pinto, Hannah Simone, Kal Penn, Jameela Jamil, Utkarsh Ambudkar, Aasif Mandvi and newcomer Leela Ladnier in the title role. Investigate Mira, Royal Detective further on “The Hollywood Reporter”. Blade Runner will be making its small-screen debut on Adult Swim as an animated television series, Blade Runner — Black Lotus. The 13 half-hour, anime-style episodes are being produced by Sola Digital Arts (Ultraman) and will be directed by Shinji Aramaki (Appleseed) and Kenji Kamiyama (Ghost in the Shell: Stand Alone Complex). The Blade Runner — Black Lotus plot is still secret, though it will be set in 2032 and feature familiar characters from the films’ universe. Explore Blade Runner — Black Lotus further on “Entertainment Weekly”. Alongside Creed II, Disney’s Ralph Breaks the Internet helped drive the highest-grossing Thanksgiving weekend box office on record. Starring John C. Reilly and Sarah Silverman, the animated feature took the lead with an estimated $84.5 million over the five-day period. Ralph Breaks the Internet had the second-highest Thanksgiving weekend opening ever for a film, trailing only Frozen’s $93.5 million debut in 2013. Plug into all the Ralph Breaks the Internet numbers on “CNN Business”.